At A.J. 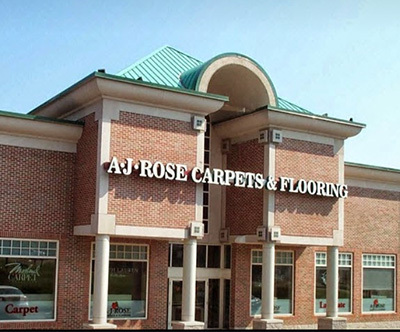 Rose Carpets & Flooring, our goal is to help our customers find the perfect flooring solutions for their home or office. Our No. 1 priority is delivering an exceptional customer experience and ensuring everyone leaves 110% satisfied. To make sure that our sales team and specially trained installers are providing you with the shopping experience you deserve, we need your feedback. Please take a moment to let us know how our flooring store near Boston, MA, is doing! When you're searching for commercial carpeting, luxury vinyl tile or anything in between, we hope you’ll choose A.J. Rose for all your future flooring needs. Since 1977, A.J. 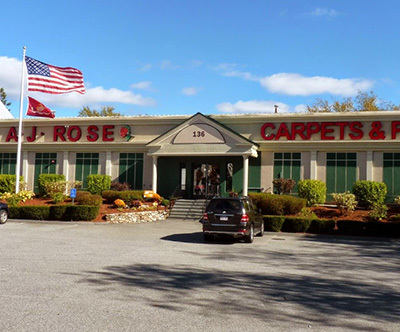 Rose Carpets & Flooring has served Massachusetts business and homeowners with unmatched flooring and carpet sales and customer service. 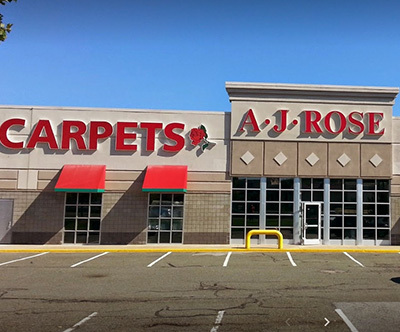 From our extensive selection of carpets, area rugs and flooring solutions to our friendly sales team, we've worked hard to earn our reputation as the Boston area's go-to flooring experts. A.J. Rose has been rated an A+ company for several years in a row by the Better Business Bureau and we've won the Angie's List Superior Service Award six times. Our Greater Boston flooring store is a member of the National Flooring Alliance, making us one of only 40 flooring companies to achieve this exclusive designation in North America. Plus, A.J. Rose has been deemed a Best of Boston award winner in the Carpets and Flooring category for multiple years. The links below will take you to a website where you can rate your experience at one of our three Massachusetts locations. It will only take a moment of your time to complete, but your responses help us improve our store and refine our processes. Thank you for your time and for choosing A.J. Rose Carpets & Flooring! Our dedication to service starts with our experienced and well-trained salespeople. It is shown all the way through the selling process and ends with our specially trained technicians and installers, many of whom have been with the company for over 25 years. The difference is in the entire organization's dedication to going above and beyond our customer's expectations. Our exceptional customer service has not gone without being recognized. Over the last few years we have received awards such as Boston Magazine's prestigious "Best of Boston Home 2017", "Best Of Houzz 2018", and 2017 Best Pick Reports Certified. Large selection and great service everything went great and I love the new carpet! The workers were efficient, knowledgable, and professional while installing the stairway runner. We are pleased with the installation. Great experience from the minute we walked in the door. Everyone was very pleasant and knowledgeable. The installers were also very good. They were on time, extremely polite and professional and did a great job. I would highly recommend this store. I used these guys for the purchase and installation of vinyl plank flooring on the ground floor of my home. My installer, Max, was amazing. He was quick, professional, and accommodating. My floor looks great! Our Experience with A.J. Rose Carpets & Flooring was exceptional. The installers were on time, neat and after a great job installing our Stairs Carpet, they swept up and cleaned up the entire area. We were very happy with the Carpet and the installation process. AJ Rose was very professional, courteous, and helpful. The carpet installation team was stellar! The carpets on the stairs are gorgeous and the team left my home cleaner than when they arrived!